Isle of Wight MP, Bob Seely, met with members of the Solent WASPI group last week and promised to find out more about 1950s women’s pension injustice. On Friday, 8th September, Solent Women Against State Pension Inequality (WASPI) Supporters’ Group held a Day of Action on the Isle of Wight. Members met with some of the 10,000 Island women who have had their state pension age (SPA) increased – some not once but twice – in recent years. The Solent group is part of the national WASPI movement which is campaigning for fair transitional payments (or compensation) for women born in the 1950s who have been adversely affected by SPA legislative changes in 1995 and 2011. WASPI does not want the SPA for women to revert to 60 but takes issue with the lack of direct communication that women received about the changes, leaving 1950s women little or no time to prepare for a later SPA. Members of the Solent group met with the Isle of Wight Conservative MP, Bob Seely in Cowes. After hearing their personal stories, Bob promised to find out more about 1950s women’s pension injustice. He agreed to speak to fellow Conservative MP Tim Loughton, a key figure in the All Party Parliamentary Group (APPG) supporting WASPI women. Solent WASPIs are pleased Bob is taking an interest in the campaign and they hope he will take decisive action to support their fight for justice. After meeting Bob Seely, members of the Solent group in Cowes talked to many local residents and holiday makers about the WASPI cause. The majority were sympathetic and fully supported the campaign. Solent WASPI members in Ryde were joined by Labour’s Julian Critchley, who had pledged at the General Election to support the campaign. The group also met Mark Chiverton, the Island Branch Secretary and South East Regional Convenor for the public service union, Unison. The group in Ryde also met many Islanders and visitors who were concerned about the situation for 1950s women. “There are 10,000 women on the Island who have been affected by the SPA changes, so we were delighted with the positive response we received from locals. We were also delighted to bring this matter to the attention of visitors to the Island. We found that many women were angry and upset about the way they’ve been treated, and were pleased to hear about the WASPI campaign. 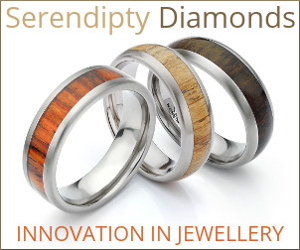 “They were keen to find out more and promised to spread the word amongst their friends. The situation on the Island mirrors the plight of 1950s women throughout the country. Some Island women are in poor health and worried about how they can keep working for longer; others have been forced to try and go back to work but can’t find suitable jobs. Given the level of interest sparked, the Co-ordinators of the Solent group will be working with Island women to start a separate Island WASPI group. The Solent Isle of Wight Day of Action was timely as it came when the WASPI cause is gaining momentum and only the day after an All Party Parliamentary Group (APPG) on State Pension Inequality for Women presented a Bill to Parliament with the aim of keeping the issue of women’s state pensions firmly on the political agenda. 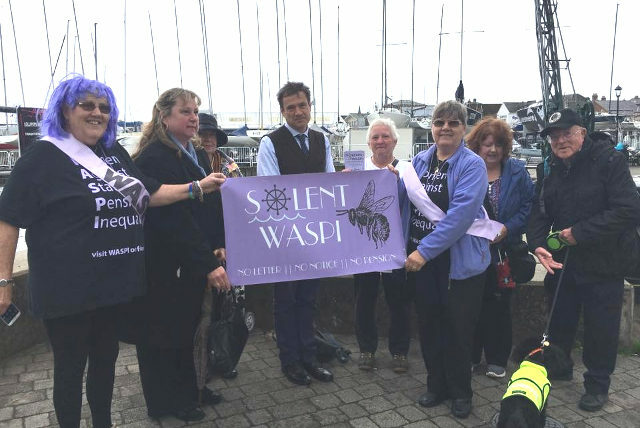 The Solent WASPI group would encourage women on the Island, and on the mainland, to take action by lodging a complaint with the Department for Work and Pensions regarding pension maladministration. By doing this they will be helping to address this pension injustice and alleviate the hardship and distress it has caused for many 1950s women and their families. Solent WASPI thanks all those who braved the windy and wet weather to make the Isle of Wight Day of Action such a success. We thank Bob Seely MP for meeting us. We are also grateful for the many messages of support we received, including from Independent Councillor Paul Fuller JP and Vix Lowthion of the Green Party. If you would like to join the Solent WASPI group, or to find out more, please email solentwaspi@gmail.com. 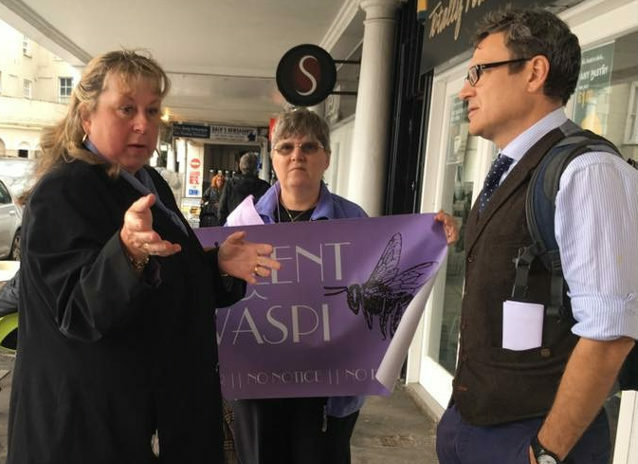 1 Comment on "Solent WASPI report successful Isle of Wight day of action"
Bob Seeley ( aka seldom seen Seeley) is obviously so interested, judging by the hands in the pockets! !